Krav Maga literally means "Combat – Contact, or touch" or "Close Quarter Combat". Krav Maga has no single "founder" and no official beginning. It is the product of the needs of the times and the efforts of many instructors over the years, each adding and modifying based on his skills and experience. The roots of modern Krav Maga began with the need for self-defense in the land of Israel. One must first understand a little bit of Jewish history. Jews, against all odds, had always maintained a presence in the Land of Israel (called "Palestine" and other names by the various occupation forces, Jews are indigenous to this land) but around the 1880's Jews from around the world were finally able to return in great numbers. These returning Jews were philosophers, piano players, and university professors; they were not used to fighting and farming, but they came here and began a new life in their ancestral home. The Jews living here were regarded as weak and helpless by the Arabs. They were considered fair targets by Bedouin Arabs and other Muslims who did not care for them. The Arabs did not respect weakness and refereed to the Jews as "Walid el mita" - The child of death. Jewish blood was considered cheap. The Jews lived in their own quarters, scared and at the mercy of others. Often they hired Arabs to protect them. The Jews emigrating to Israel from around the world, coming home to their ancestral homeland, found this situation shocking, intolerable and unacceptable. They began to "adjust" to the Middle East. Although Jews had been living in Israel continuously since the loss of independence in the year 135, their numbers were few. This changed in the 1880's with a growing return to Israel by Jewish immigrants from all over the world. The Arabs and Turks living here at the time did not care to see the Jew come home and used violence to attempt to stop the growth of Jewish towns. With these attacks comes defense, thus it can be said that the roots of modern Krav Maga began at this stage, in the 1880's. In 1903 the Maccabee Union was formed to teach Jews physical fitness and strength. They wanted to end the era of "Walid el mita". They soon began training with sticks (early Kapap) but the goal was rifles, live weapons. In 1907 a group was formed called "HaShomer" - "The Guard", with the purpose of defending Jewish settlements. From this point, and even before this, is a constant exploration and evolution of hand-to-hand self defense techniques and strategies. This process continues even today. No one person can claim rights to this process. The need for self defense is as old as man himself. In 1919, Jerusalem, Ze'ev Jabotinsky founded the "Haganah" - Defense, for the purpose of defending Jews against the increasing Arab attacks. Various instructors are instrumental in developing what would become known as Kapap and eventually Krav Maga. In January 1941 a self-defense course takes place, the chief instructors are Maishel Horowitz, Menashe Harel, Gershon Kofler, and Yitzhak Shtibel. This is a key point in the organized development of Israeli self-defense. At the same time, in lands around the world, Jews of the exile also face violence. They too begin to form self defense groups. My grandfather told us of such groups in his hometown in the area of Munnkacs, Carpata Ukraine, around the 1930's. It was formed by Jewish veterans who served in the Hungarian military in World War One. The group's purpose was to defend the Jewish inhabitants from roaming gangs of Jew-haters. Another such Jewish defense group was in Czechoslovakia in the 1930's. Emrich (Imi) Lichtenfeld, an expert in boxing and wrestling, together with other Jews formed a Jewish self-defense group. He was influenced by his father, Shmuel, a detective and Defensive Tactics instructor with the local police force. Shmuel Lichtenfeld was known as a tough officer with a reputation for arresting the most violent criminals. Young Imi grew up in a tough area and had to deal with fascist thugs, violent gangs and anti Semites. On the street he learned to distinguish between sporting techniques and real life self defense. Imi Lichtenfeld began to incorporate techniques from different styles to form an effective approach to self defense to enable the Jewish community to defend itself against Fascist militias. When Europe became unbearable for Jews, Imi left. He eventually ended up in the Land of Israel in 1942, then controlled by the British. Israeli self-defense was already well in the process of development, he joined this on-going process. He joined the "Hagana" (Defense, in Hebrew) the defensive force founded by the legendary leader Ze'ev (Vladimir) Jabotinsky in 1919 for the purpose of defending Jewish settlements from Arabs. Jabotinsky was one of the great Jewish leaders of that century. He foresaw doom for European Jewry and urged them to relocate to the Land of Israel (aliya). He founded the Betar youth movement and the Herut (Freedom) political party. Future Prime ministers Menachem Begin and Yitzchak Shamir were among his disciples. Jabotinsky, or Jabo as he was known by the Jewish masses, was not only a great leader and speaker, he was also a writer and a poet. He wrote in many languages; text books on Hebrew language, novels , and poems. His works inspired his generation and the those that followed. One of his most famous articles was, "Jews; Learn to Shoot!" Jabotinsky formed the Zion Mule Corps as part of the British army in World War One, and he himself enlisted as a private. While Jabotinsky was the philosophical force behind Jewish military revival, others were the hands-on Krav Maga Instructors. Lichtenfeld's talents were noticed and he was assigned to join the unarmed combat instructors team. Eventually he became a Kapap instructor and was among those who trained the Palmach and Palyam. He is credited with a shifting of emphasis from use of the stick to the greater incorporation of Jujitsu. 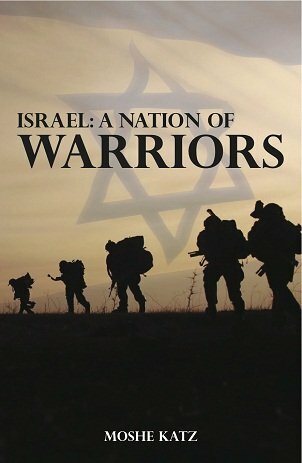 When Israel became a state in 1948 all the pre-state militias joined together to form the IDF. Imi was recruited into the staff of the IDF physical training school were he was one of 11 Kapap instructors. Krav Maga includes techniques form judo, jujitsu, karate, Western Boxing and elements of wrestling. With the establishment of the State of Israel Krav Maga was adopted as the official fighting style of the Israel Defense Forces and the Israel Police Force. In 1964 Lichtenfeld retired from the IDF and opened a private Krav Maga club. With this he becomes the first to offer Krav Maga to civilians, although in Israel nearly all civilians serve in the military and thus already have some Krav Maga training. His fame comes from his initiation of the development of Civilian Krav Maga. This is a process still going on today with many branches. Krav Maga is free flowing; all styles of punching, kicking, chokes, take-downs are employed with the aim of neutralizing the enemy in the shortest amount of time possible. Unlike competitive martial arts, where limits are placed on the type of techniques used or the areas targeted, Krav Maga has no limitations. Groin shots, eyes, throat, face, are all fair game. Therefore Krav Maga does not hold competitions and does not seek to be represented in the Olympics. The danger to the participants would simply be too great. Krav Maga is designed for self-defense, combat, and worst case scenarios. A major part of the training involves the ability to handle such stressful situations, both physically and mentally. The style is easy to learn and apply. Krav Maga chooses simple movements that are natural to the body, based on instincts that are already established within us. Perhaps the most unique aspect of Krav Maga is the emphasis on aggressiveness, sticking to the goal no matter what, even when it is hard, even when you feel you have nothing left, and a no compromising attitude towards the enemy. Our goal is to neutralize the enemy; the specific technique does not matter. Krav Maga is taught to all units of the Israel Defense Forces , the amount depends upon the unit. As such nearly everyone in Israel has some Krav Maga training. Depending on the unit, knife and gun disarms are also taught. All training involves strict discipline, aggressiveness and a warrior mindset. Read interview with Israeli historian Noah Gross, about the early years of Krav Maga and Kapap. there are certain facts which I have come to realize through my extensive research . 1. 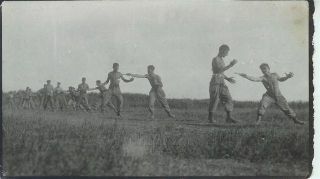 Krav Maga as a term appears for the fisrt time in the IDF in 1948. 2. Judo Shimushi (Useful/Practical/applicable – Judo) was a term also used interchangeably with Krav Maga and Kapap. 3. A manual under the title of Judo Shimushi was published in 1947/48. The manual is dedicated to the memory of Gershon Kopler and Yehuda Markus. It attributes to them the compilation of this hand to hand combat body of knowledge, and organizing it under a methodical way of practice (I.e. systematizing it). 4. This manual served as the main reference book for all Krav Maga/ Kapap courses in the school for physical training, where all hand to hand combat instructors were trained and Imi served from 1948 to 1964. The manual served as the main reference until 1960 when a hand to hand combat manual titled Krav Maga was published. 5. The publication of the 1960 manual does not imply a change in the system or some revision. It is simply an indication that the name Krav Maga became the preferred term of use and that it was time to make a new manual reflecting the present state of Krav Maga or hand to hand combat in the IDF. 6. Kapap was developed in Mandatory Palestine by a group of instructors during the 1930’s and 1940’s. the main body of it was organized and taught before Imi arrived in mandatory Palestine and before he joined the Palmach as an instructor. 7. Given that Kapap and Krav Maga are one and the same until at least 1958 then one must draw the simple conclusion that Imi did not develop or invent this body of knowledge. 8. If he did not develop it or invent it, then there is no direct connection between Bratislava and Krav Maga. 9. Imi was a Kapap instructor in the Palmach and then a Kapa/Krav Maga instructor in the IDF. 10. The entire structure of the Physical training branch and within it the school for physical training were staffed by a majority of Palmach veterans like Imi. 11. The hand to hand combat curriculum logically was adopted in the most part from that practiced in the Palmach. 12. Imis' contribution to the selection of the techniques and how they are taught was minimal to non-existent until the formation of the IDF and the school for physical training. 13. Imi assumed the role of lead instructor over time and not from the outset. Factually the title of chief Krav Maga instructor did not exist until the second half of the 1950’s and perhaps came in only around 1960. 14. Some Krav Maga history narratives claim Imi was brought to the IDF to revise its useless method of self defense. This is at best a gross misunderstanding of the facts and at worst a flat out distortion and lie with the purpose af aggrandizing Imi’s role. The IDF underwent a revision in 1953. As part of that revision the branch of physical training entered a process of review and revision. Commissions were set up for each discipline taught at the school, one of them being hand to hand combat. It was titled the commission for Krav Maga and Imi was appointed as its head. There were very clear guidelines with regard to the commissions task. One of them was to take the Judo Shimushi manual and pair it down for the needs of combat units boot camp trainees. This is the only “revision” Krav Maga underwent in the IDF before Imis' retirement in 1964 and it clearly establishes that Judo Shimushi, a manual he did not write or develop was in fact the manual the IDF used for Krav Maga. 15. Imis' contribution to Krav Maga is an aggregate of his influences and adjustments made to techniques and methods of training over the years of his service in the IDF and then the fact that he took this body of knowledge into the civilian arena and started the process of adjusting it to self defense purposes. Learn Krav Maga in Israel! Come experience Israel the Krav Maga way. Learn Krav Maga in the country it was developed, learn the history that led to the creation of the Israeli Defense Forces, Krav Maga and the Israeli warrior mentality. Spend ten days that will change your life. Live in Maaleh Adumim, visit the Dead Sea, Masada, the Old City of Jerusalem and other sites of historic importance. See your Krav Maga skill reach new levels, regardless if you are an absolute beginner or veteran high ranking instructor; the course will meet your needs.